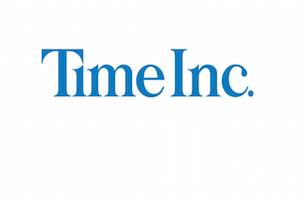 Time Inc. has added Michael Zeisser to its board of directors. He currently serves as chairman of U.S. investments for Alibaba Group. Zeisser is also a board member of Shutterfly and XOGroup. Time Inc. CEO Joe Ripp is Time Inc.’s chairman. Other members of Time Inc.’s board include David Bell, chairman and CEO, Slipstream Communications; John Fahey, former CEO, National Geographic Society; Manuel Fernandez, former executive chairman of Sysco Corporation; Dennis FitzSimons, chairman, Robert R. McCormick Foundation and former chairman and CEO, Tribune Company; Betsy Holden, senior advisor, McKinsey and Company; Kay Koplovitz, chairman and CEO, Koplovitz & Company; J. Randall MacDonald, CEO, managing partner, Windham Mountain Partners; Ronald Rolfe, former partner, Cravath, Swaine & Moore; and Howard Stringer, former chairman, president and CEO, Sony Corporation.